Hello. How's everyone been? All is well over here. Some recent posts on two places high on my travel list (Lima + Singapore) gave my never ending travel bug some fuel to recap my recent trip to Vietnam. We were only there five days (with 13 more in Thailand) but it was just the right amount of time to peel that first layer off as far as food and exploration. We started our trip in Hanoi. A city as hectic as any I've ever been. But the chaos had an amazing rhythm to it. Hanoi has a whole book full of signature dishes. These are some of my favorites I got to try. Click HERE for the full report. ^ This is one of the oldest and most reliable rice roll vendors in Hanoi. 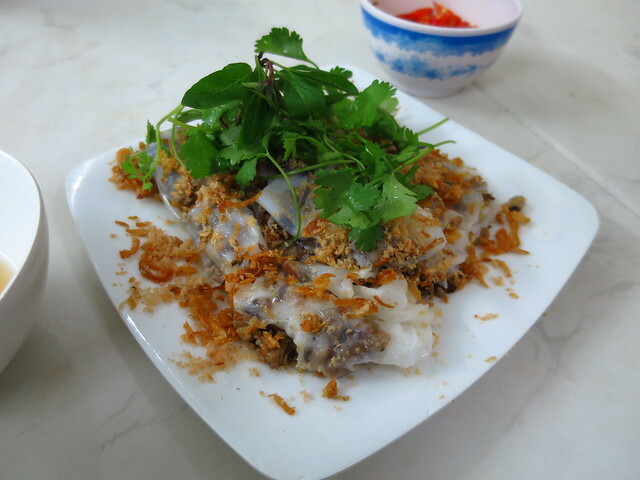 This indigenous classic is made with steamed rice rolls stuffed with minced pork and chopped wood-ear mushrooms. It's a delicate treat that I loved for the texture as much as the taste. When dipped in bowls of fish sauce they were a memorable bite. ^ Up by the lake is the island of the Truch Bach neighborhood where there's a section of restaurants that specialize in both Pho Cuon and Pho Chien Phong. The former is rice rolls filled with beef and the same herbs popular in pho. 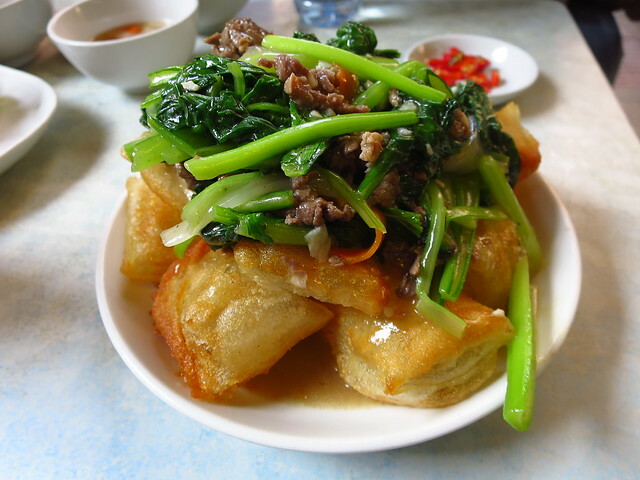 While the latter is fried puffed up pieces of rice noodle topped with diced beef, greens, and gravy. Vietnamese comfort food at it's finest. ^ Located in a corner where one alley meets another is a legendary bun ca stand. 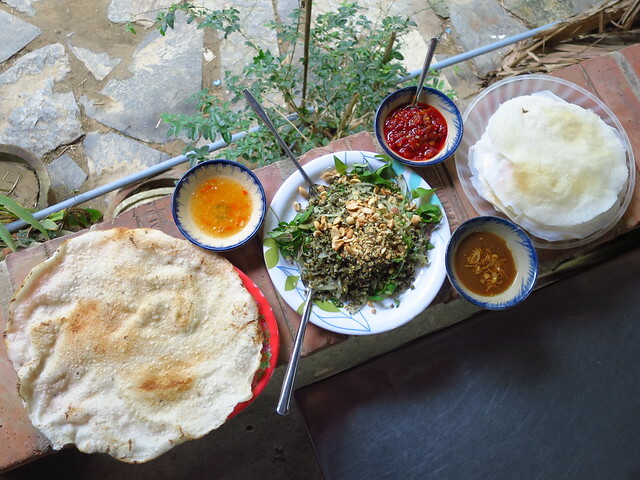 The house specialty is another one of Hanoi's fantastic regional dishes. 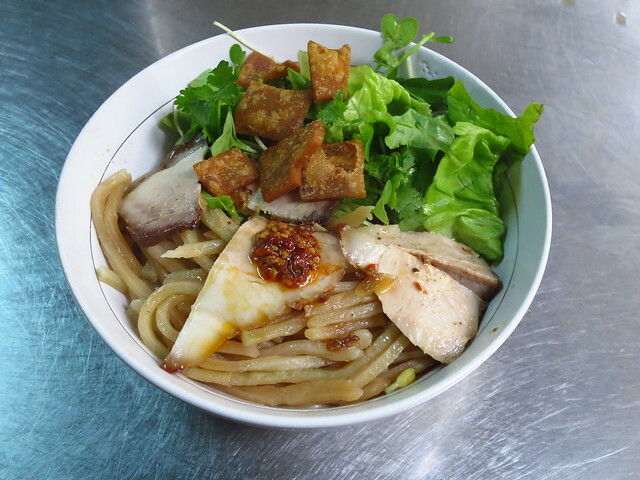 Bun Ca is fish broth based vermicelli noodle soup served with fried nuggets of local river fish. The broth is extra fragrant and full of dill flavor. 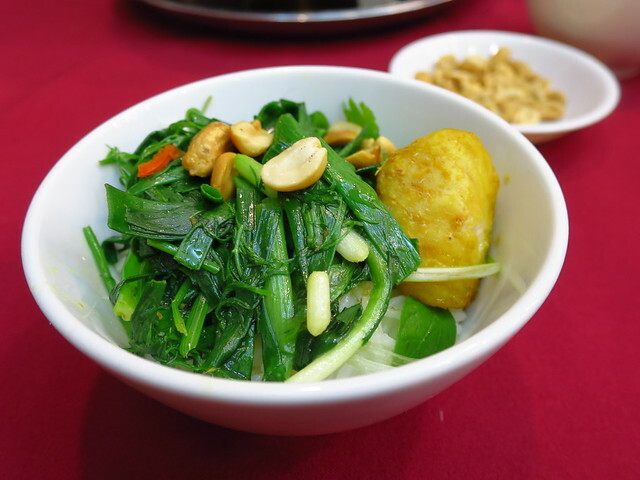 Each bowl comes with tons of greens and the fried pieces of fish remain relatively crispy. So good. ^ Cha Ca is so popular in it's birth city there's a street named after it. Cha Ca can be made from mudfish, snakefish, and Hemibagrus (Ca Lang) which is said to be best. Chả Cá Thăng Long serves all three. We got Ca Lang. Cha Ca is made by cutting pieces of meat from the fish and removing the bones before marinating them with turmeric and then grilling the meat in banana leaves. It's then kept in an oven where it stays hot until they bring it out and crisp it up table-side with handfuls of roasted peanuts and greens. ^ Everyone in Hanoi has a spot they like to go for Pho. 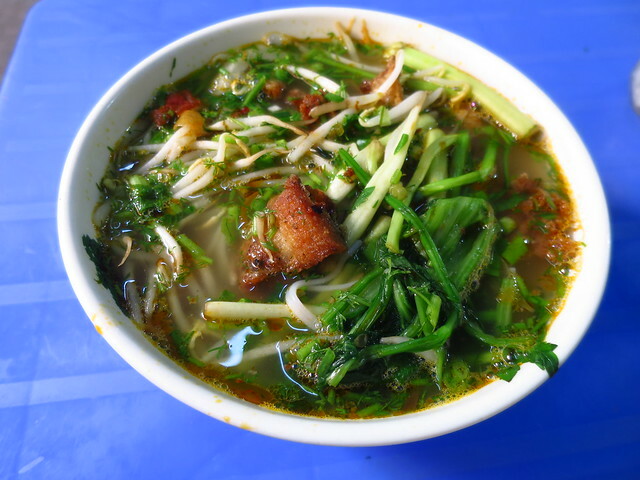 With the north having cooler weather many say Hanoi is where to go for Vietnam's best pho. A favorite spot of both locals and tourists is Pho 49 Bat Dan. I arrived to a line at around 8:30a. It moved relatively fast and I was able to get my bowl and sit down within 10 minutes. The broth is clean but complex. The thinly sliced beef was almost like roast beef that was cut to order with a big old machete like knife. But the broth was what this bowl is all about. My first bowl of Pho in Vietnam will always be remembered. Breakfast can't get any better. After Hanoi we were off to the the tourist driven town known as Hoi An. This is a popular spot for vacationers from all over. So it's definitely a bit touristy but it's also an exceptionally well-preserved example of a South-East Asian trading port dating from the 15th to the 19th century. A dedicated UNESCO World Heritage site. I liked it alot and even though it was small and the population is under 150,000 there was so much to explore while the local food was phenomenal. Click HERE for the full report. 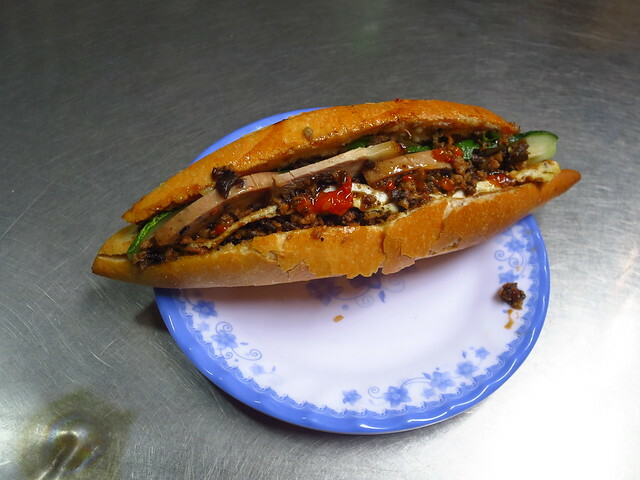 ^ Hoi An is said to have the best Banh Mi in the country. Madam Khanh is an elderly lady who's been making sandwiches for decades. But she only makes one specific sandwich. The signature sandwich includes vegetables, pork, ham, fried egg, pate, egg sauce, papaya, and cucumber. Well screw me bc I ruined Banh Mi forever by eating this. That is unless I ever make it back. It was maybe the best sandwich I've ever had. Yeah I said it. The bread was as good as it gets and the ingredients meld perfectly. Just $2. WTF. I'd pay $15. ^ Banh Trang is a hyper local clam salad. The clams come from the river that goes through an island off of Hoi An. I'm pretty sure every restaurant on Cam Nam serves this dish. They chop them, fry them, and throw them into a bowl of chopped herbs and mix it all up with fish sauce and crushed peanuts amongst other things. An order of banh dap aka smashing rice paper comes on the side as does a plate of soft rice papers and three different sauces including the most pungent fermented fish sauce you'll come across. I would say this is a must. The food and the little village were well worth the walk there. You can also uber. ^ I kept seeing people eating this dish around town and it kept calling my name. Last day here we decided to rent a scooter and take a ride towards the beach. The beaches were empty since it wasn't the season but I would love to get back when it is. It's a beach community at heart. 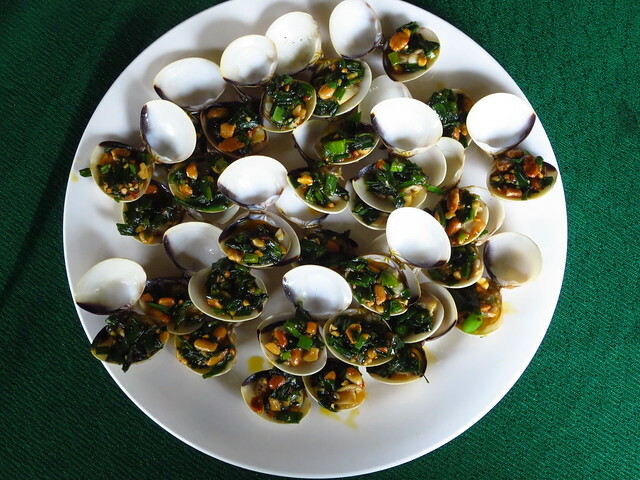 These clams came grilled and topped with garlic, peanuts, and greens. They were every bit as good as they looked. I dont have the exact name of this dish but it's popular all over town and can be found on every seafood spots menu. 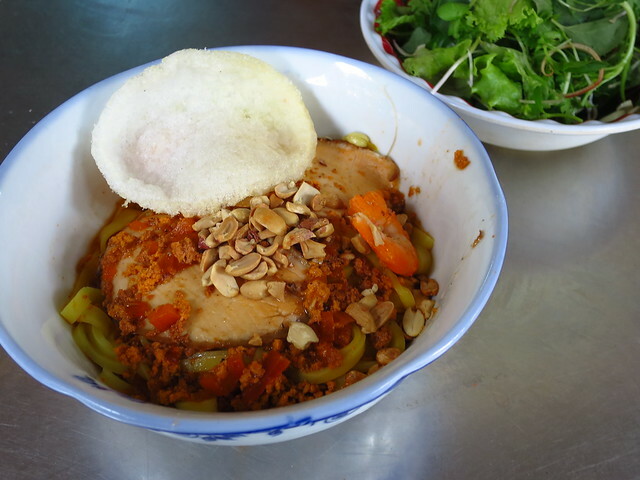 ^ Hoi An has two signature noodles dishes. First up is a bowl of Mi Quang noodles. Mi Quang noodles are made with a vibrant wide yellow turmeric stained noodle topped with roast pork, garlic, spring onions, local river shrimp, boiled quail eggs, and roasted peanuts. A big bowl of fresh herbs comes served on the side. What differentiates this bowl of noodles from other Vietnamese favorites is the use of a light broth that only covers the bottom of the bowl. It's part soup-part salad and fully fantastic. 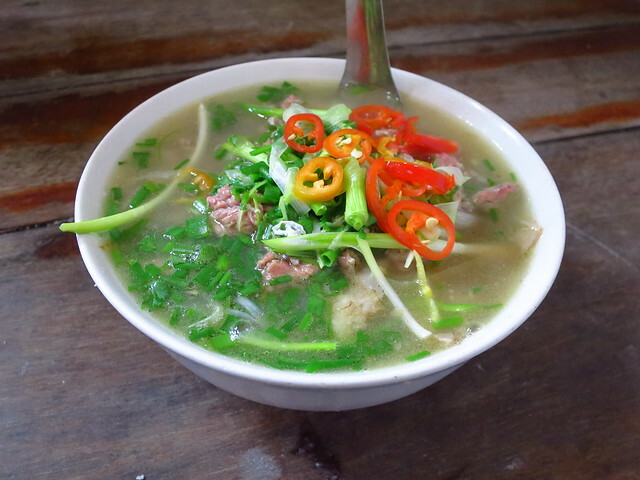 ^ Cao Lau is perhaps the foremost food of Hoi An. It all starts with the signature namesake noodles. These are made from local fresh rice (not older grains) and the end consistency is extra chewy. It's said this dish cant be replicated outside of this area bc the water used to make the noodles must come from a well in nearby Be Le. Much like Mi Quang there's only a little bit of broth used in this dish too. Also in it are slices of roast pork, crispy and totally addictive cracklins, bean sprouts, lettuce, and herbs. Talk about the best Vietnamese dishes and this should be mentioned. You are absolutely killing me.